Orange County, California-based LRES , a national residential and commercial mortgage services company providing valuations, REO asset management, and HOA solutions for the mortgage and real estate industry, announced Peter Lutz as its VP, National Sales Manager. In this role, Lutz will be tasked with leading the sales, marketing, and client services teams. Lutz is a result-driven business leader, entrepreneur, and sales management professional with a distinguished 20-plus year career in executive positions on a global scale. He was previously the Founder and President of Data Control Group, LLC., where he provided leadership to the company for 12 years, and expanded to over 1,200 employees with locations in the United States, China, Mexico, and the Philippines. “Pete’s experience in executive management is comprehensive, and we are delighted to welcome him to the team,” said Roger Beane, CEO of LRES. “I am thrilled to be working with Pete again. We have a long and strong history together, and he has a strong track record of success,” added Mark Johnson, President of LRES. “I’m honored to be working with Roger, Mark, and the LRES team to contribute to the company’s strategic growth. 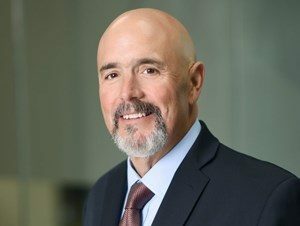 LRES is heavily focused on advancing its current service offerings to the mortgage services industry, and I intend to do my part,” Lutz said. LRES is a national residential and commercial mortgage services company providing valuations, REO asset management and HOA solutions for the mortgage and real estate industry. With more than 15 years of continued growth, LRES offers managed business processes for the origination and default markets.